How Can Dental Treatments Make Me Look Younger? 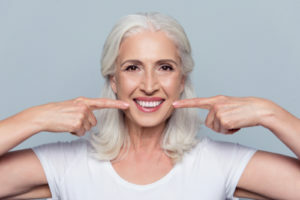 By enhancing tooth size and shape, veneers can help restore youthful facial contours that have been affected by lax facial muscles and worn-down teeth. To learn more about the dental facelift and how it can help you reverse the effects of aging with incredibly natural-looking results, please contact us to schedule an appointment.